The application cycle for the Physician Assistant Program is now closed. The application cycle will reopen on April 26, 2019. We have several Information Sessions happening this year! RSVP Today! The Accreditation Review Commission on Education for the Physician Assistant (ARC-PA) has granted Accreditation-Continued status to the University of Arkansas for Medical Sciences Physician Assistant Program sponsored by the University of Arkansas. Accreditation-Continued is an accreditation status granted when a currently accredited program is in compliance with the ARC-PA Standards. Accreditation remains in effect until the program closes or withdraws from the accreditation process or until accreditation is withdrawn for failure to comply with the Standards. The approximate date for the next validation review of the program by the ARC-PA will be September 2026. The review date is contingent upon continued compliance with the Accreditation Standards and ARC-PA policy. 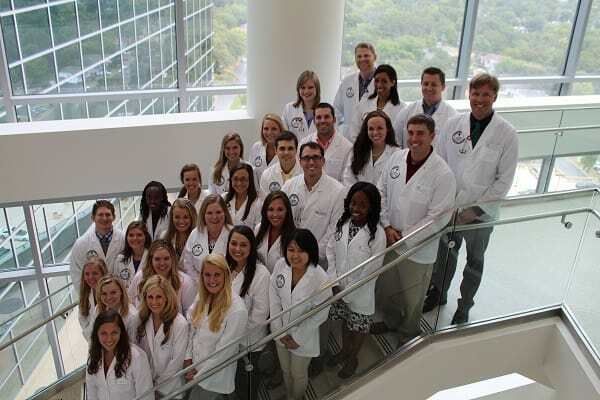 The Physician Assistant National Certifying Examination Five Year First Time Taker Summary Report for the University of Arkansas for Medical Sciences Physician Assistant Program can be found here. Please click on the About Arkansas PA.com logo below to find more information about the Physician Assistant profession and education in Arkansas.